Two more victims of the Las Vegas mass shooting had Bay Area ties, NBC Bay Area learned Tuesday. They were a couple: 56-year-old Derrick "Bo" Taylor, who graduated from Fremont High School in Sunnyvale in the early 1980s, was a California correctional lieutenant, and his girlfriend, 57-year-old Denise Cohen, graduated from California High School in San Ramon. 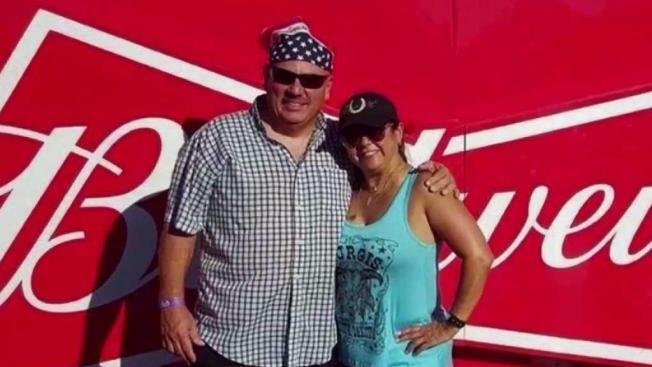 The couple, who lived together in Oxnard, California, were in Las Vegas to celebrate Taylor’s birthday when they were among 58 people shot and killed in the largest mass shooting in modern U.S. history. Hundreds more were injured in the shooting. Taylor's niece, who lives in the South Bay, described her uncle as "the nicest guy in the world." She said he made everyone laugh. Taylor leaves behind two children and five grandchildren. Cohen’s son said his mother radiated a light that touched everyone she knew. Cohen's friend, Leana Orsua said she hopes Cohen didn't suffer. "I know she was at a happy place," he said. "She was dancing and singing, and I think that's what she's doing in heaven."